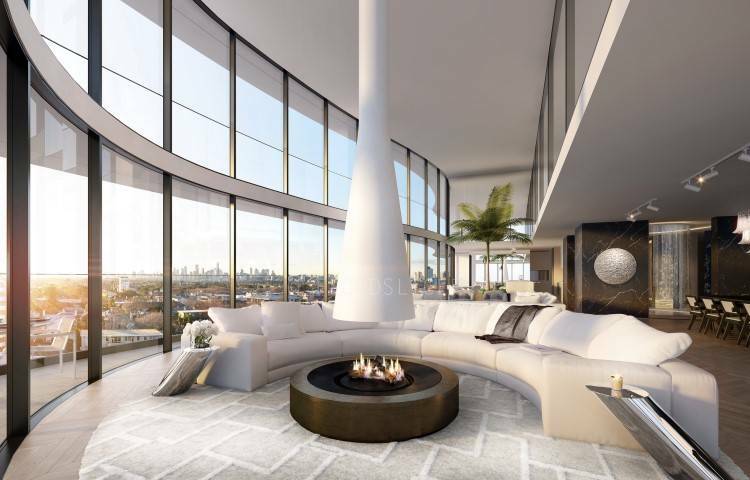 A penthouse in St. Kilda just broke Melbourne's price record for the most expensive apartment sale, with a whopping price tag of $30m. The property is in Saint Moritz, a six-star development by luxury property developer Gurner. 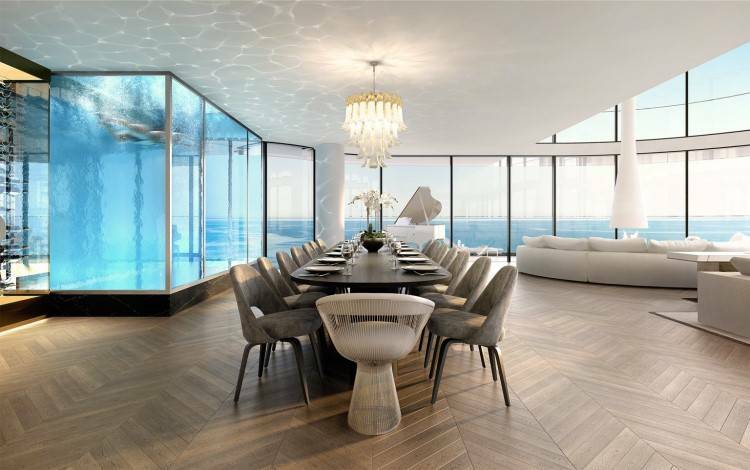 The penthouse was contracted off-market prior to Saint Moritz’s scheduled public launch in June. 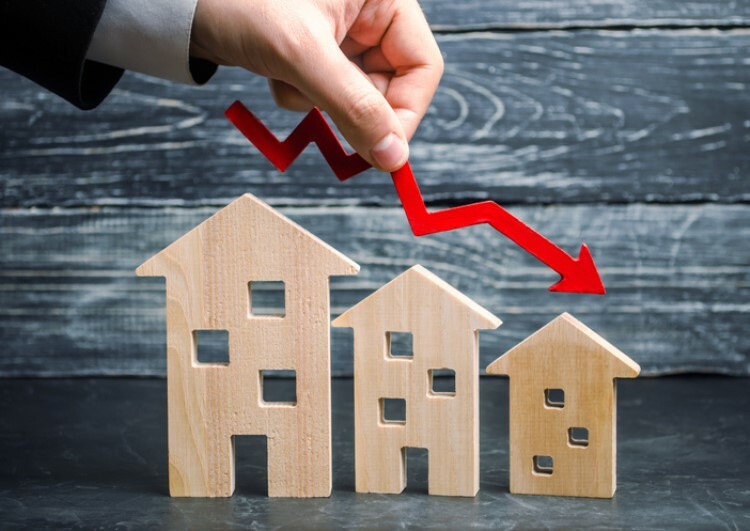 The price of the penthouse is 20% more than the previous Melbourne record. 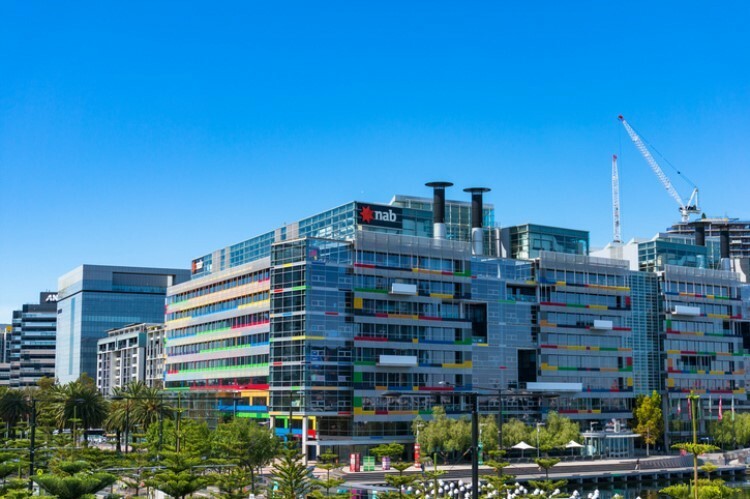 It also is the second highest apartment sale in Australia, overtaken only by the $40m record price recorded in Sydney. 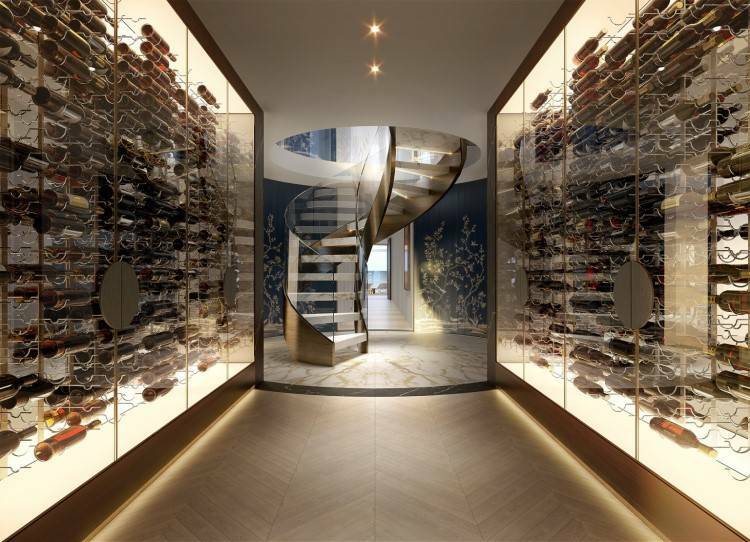 The penthouse has seven bedrooms, a seven-car private garage with direct lift access, four living rooms, a gym, two private pools, and an in-home sauna. 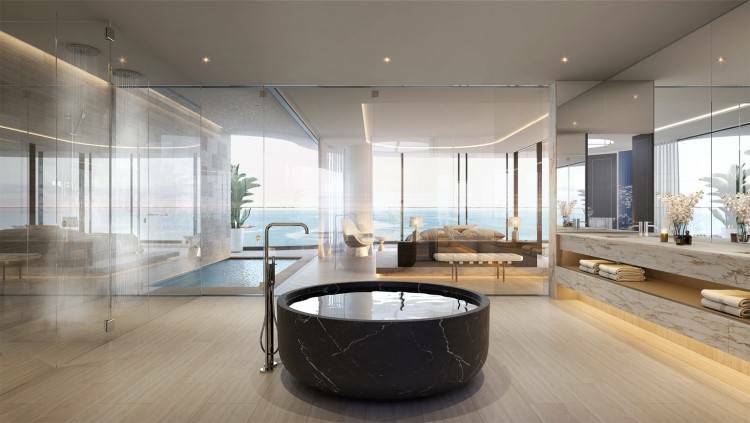 It sports a cascading two-storey water feature with marble-clad walls; a Nero Marquina bathtub that has 18-degree water views; an internal pool with transparent glass that can be viewed from the lower level; a floating fireplace; and a 1,000-bottle, temperature-controlled wine cellar. Developer Tim Gurner said the penthouse was not intended to be sold prior to the launch of the development, but they received a lot of inquiries when they started advertising the property. "We had five interested buyers and two quickly became very competitive. 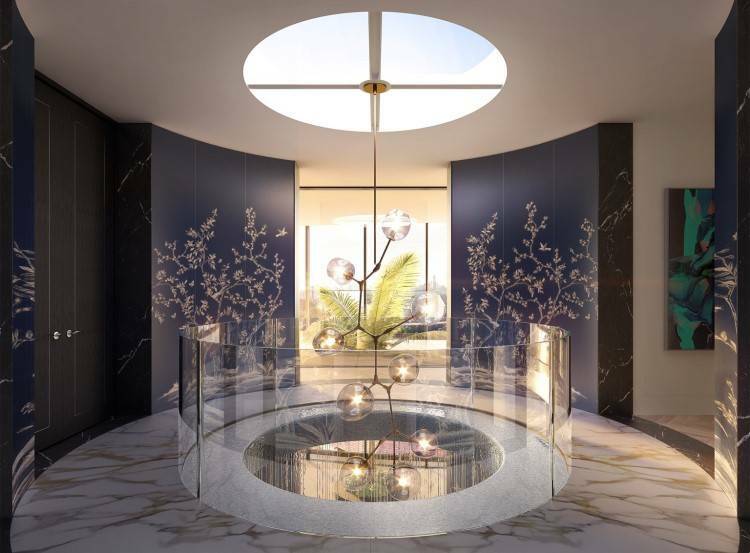 We worked with the successful buyer to design and customise the penthouse with them before formalising the sale – a process that has now been completed," he said. While the exact contract price was not disclosed, Gunner said the asking price for the penthouse was $30m. There are plans of designing another penthouse in the second building which will be priced roughly $25m to $30m. 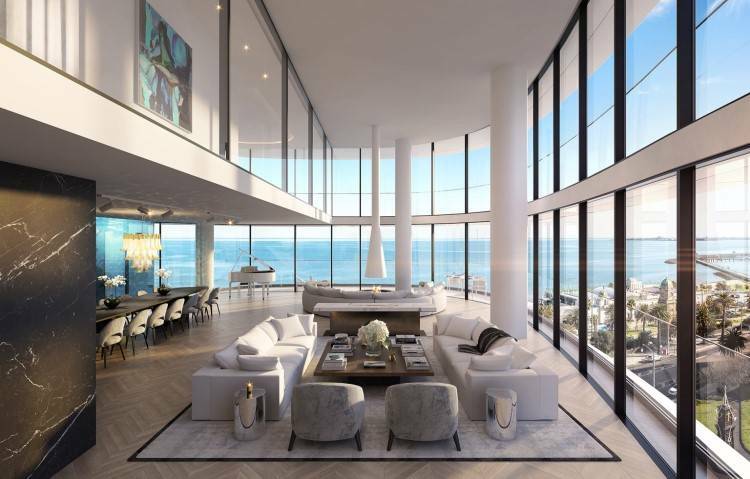 This and the recently-sold penthouse will be part of Gurner's Penthouse Collection, which will include ten residences across three buildings priced from $5m to $25m. 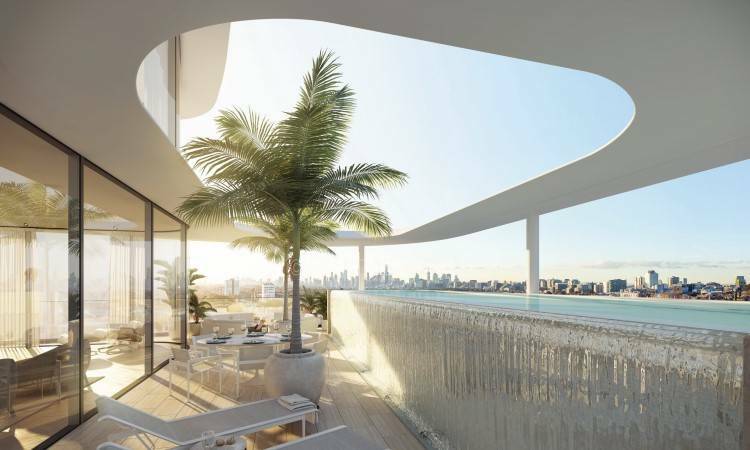 "Saint Moritz is an irreplaceable offering and the last development opportunity along St Kilda’s famed Esplanade. We set out to achieve a new global standard, and our penthouse sale underpins this vision," he said. Saint Moritz is a 6,000-square-metre development that will house three eight-storey towers with fewer than 40 apartments per building. Residences will have two to six bedrooms with prices ranging from $1.4m to over $30m.